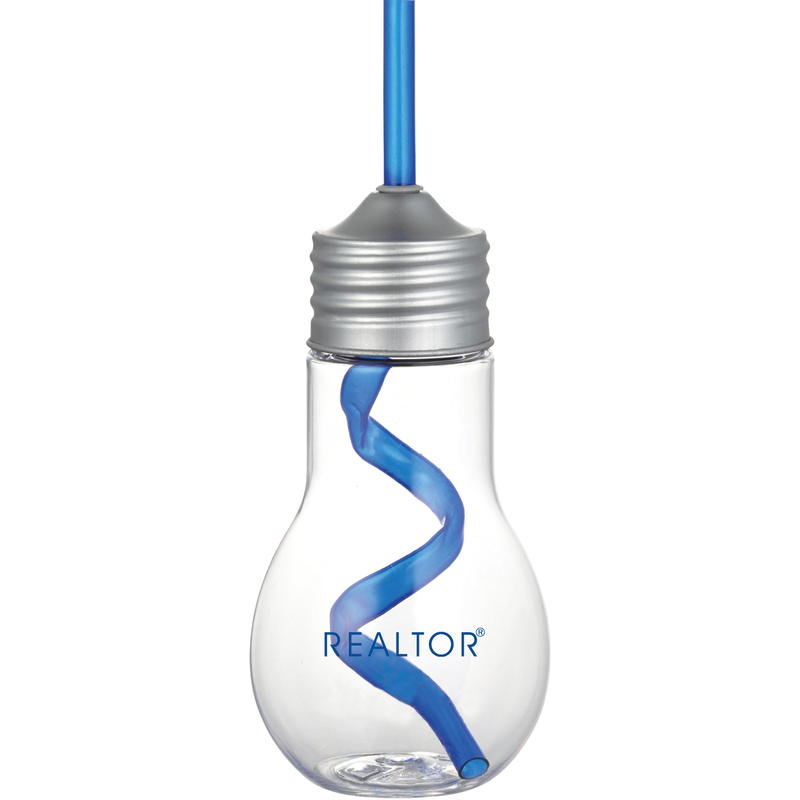 The Light Bulb 20oz Tumbler with Straw is a single-wall light bulb shaped beverage holder with a screw-on metal lid and matching straw. Straws are included. Hand wash only.